Instagram is now bigger than Twitter and with the growth of this new social network there people are sharing their photos about their house hunting adventures, saving for a buying a home and using hashtags to increase awareness. 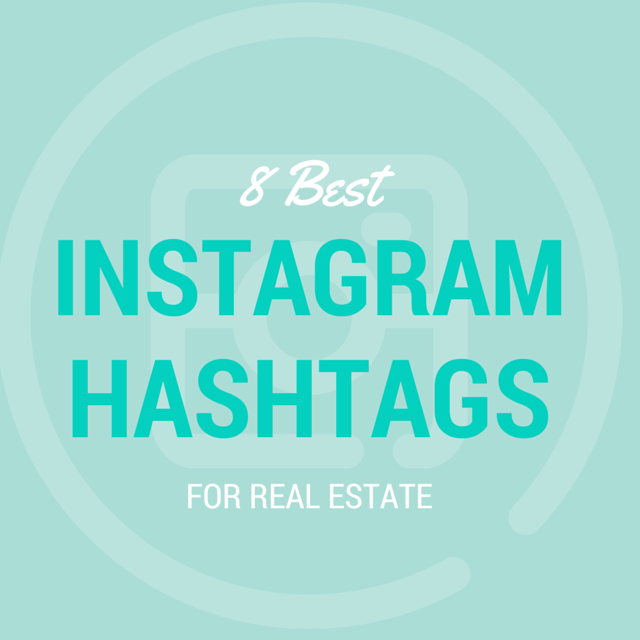 Whether you are a real estate agent looking for hashtags to use to grow your business or just a #housestalker here are some Instagram hashtags you should check out in order from highest number of photos using those hashtags to the lowest. Brands like Zillow and Neumark Design use this hashtag for beautiful homes both inside and out. The most popular real estate hashtag on Instagram with 169,000 posts. 51,000 photos of the exterior of houses from all over the world use this hashtag to capture portraits of houses with a more artistic flare than some of the other real estate hashtags. Like the show of the same name, this is a popular hashtag used on over 30,000 photos and counting featuring mansions exteriors and gorgeous home interiors of million dollar homes for sale. Homeowners restoring their historic homes and real estate agents selling historic homes use this hashtag on over 4,000 photos use to show off the charm of their old houses. 1,400 uplifting Instagram posts use this hashtag. A sweet look at the happy faces of couples who have just bought, rented or moved in together. There are lots of smiling couples, signing papers, keys in their hands and opening the door to their new house. 600 photos of trips to Lowes and Home Depot, DIY home improvement projects and other moments that capture all the fun of being a homeowner. About 500 photos use this hashtag right now but despite the lower volume it is interesting look at what people are doing to save money for a down payment on a house. Only 400 photos but they are entertaining, especially if you are currently house hunting yourself. It’s hard to find a house that has what you want, in the right location AND at the right price and these photos show it. Feather The Nest just joined Instagram. Follow us and check out our latest posts using #registerforahouse. What are your favorite Instagram hashtags?